Home / bamm / cosmo pyke / culture / fkj / iron and wine / khruangbin / music / news / yung bae / Bangkok Arts & Music Month to feature FKJ, Iron & Wine and more! Bangkok Arts & Music Month to feature FKJ, Iron & Wine and more! 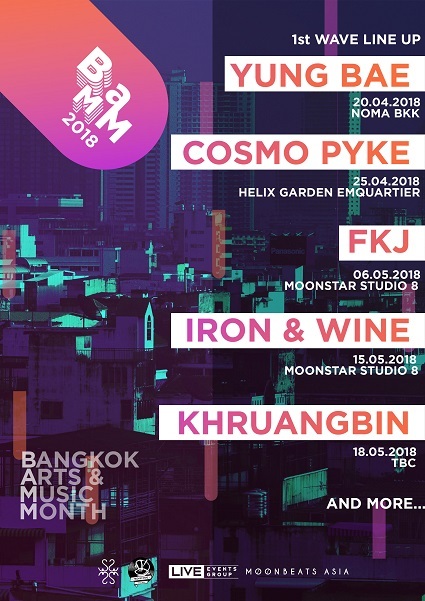 The Bangkok Arts & Music Month (BAMM) will be happening this 20 April to 20 May, featuring acts from all around the world such as FKJ, Iron & Wine, Cosmo Pyke and more. BAMM has now revealed the first wave of their line-up featuring big names such as: Grammy nominee, Iron & Wine, pioneer of New French House music, FKJ, rising star, Cosmo Pyke, Yung Bae, and Khruangbin. It doesn’t stop there as more artists will be announced at a later date. You can purchase the tickets to every show at the price of 2990 Baht via Ticket Melon. First wave line-up for BAMM 2018. 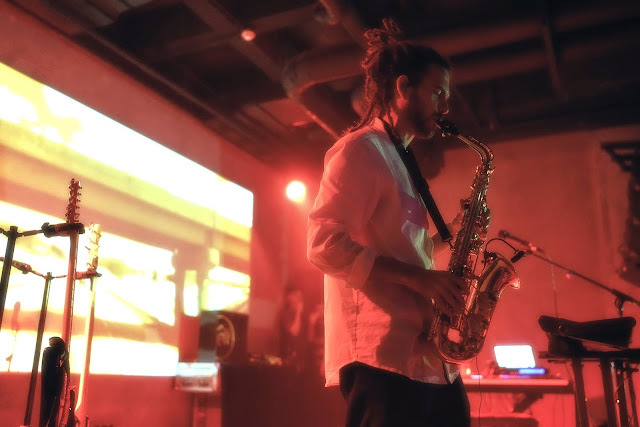 FKJ, a.k.a Fresh Kiwi Juice, is known as a pioneer of the New French House genre featuring his wide ability to play a bunch of instruments such as the bass guitar, piano and most notably the saxophone. Iron & Wine’s latest album, “Beast Epic”, got him his first ever Grammy nominee last year for Best American Album. While rising star, Cosmic Pyke, marks as one of the youngest talents on the roster at the age of 20 this year. The reveal of the next wave will definitely be just as exciting, so stay tuned to the latest updates!